Thank you to all who attended our 2018 Run FORE Cancer! RUNNERS AND WALKERS--it's almost time to lace up those sneakers for a sprint or stroll along the cart paths of beautiful Silverado Golf Course! 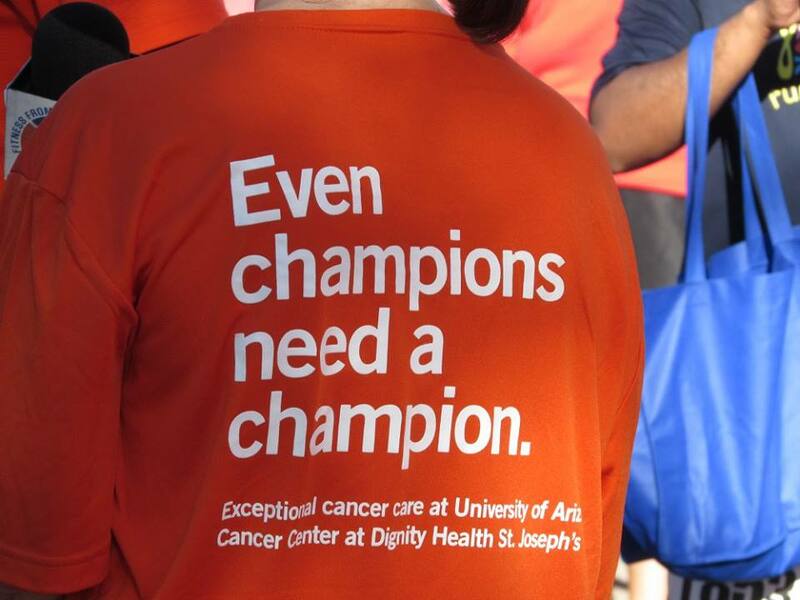 Along with rewarding yourself with a good workout, you'll be helping others, because all the proceeds from this family event benefit cancer care at St. Joseph's Hospital and Medical Center. You get to take your pick between two distances--the 4.25K or 8.2K--covering the front nine holes of this stunning golf course or the entire 18. Your registration fees also earn you a custom dri-fit T-shirt, finisher's medal, possible age group award and a memorable morning with anyone you bring along! 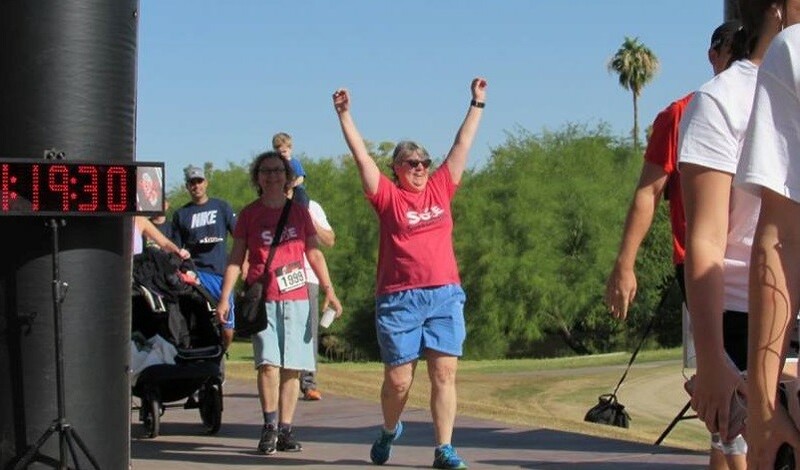 The friends and family of Kathy Maxwell celebrated what would have been Kathy’s 64th birthday in a big way by sponsoring the very first Run FORE Cancer 5K in 2013. The premiere event attracted 262 participants and raised $51,000 for the hospital she loved: St. Joseph’s. Kathy and her husband, Roger, have been long-time supporters of the hospital, initially through their involvement with the annual Lou Grubb Friends Fore Golf & Gala, now in its 45th year of operation. Although Kathy passed away in 2012 from a rare form of cancer, Roger continues to be a primary organizer of the fundraiser along with the couple's daughter and son-in-law. Your participation honors the legacy of Kathy Maxwell and gives hope to countless patients treated for cancer at St. Joseph's. Questions? Contact Vanessa Lao at 602.406.1046 or Vanessa.Lao@DignityHealth.org.